Today, Hartzell is proud to announce that our advanced swept airfoil composite 5-blade propeller for the DAHER-SOCATA TBM 700/850 has been granted STC approval by the Federal Aviation Administration. This structural composite propeller, available through our Top Prop conversion program, raises the bar for performance in the TBM 850 (already the fastest single turboprop plane on the market). The 5-blade composite prop significantly lowers cabin noise, increases climb rate, and improves the TBM’s acceleration. In addition, the new structural composite propeller is 2 knots faster than the Hartzell 4-blade metal prop, and a full 5 knots faster than a non-Hartzell wood variant. The superior strength of the structural composite blades enable a wider chord, thinner airfoil design, and ultimately a better performing propeller. We, at Hartzell, are extremely proud that this prop will be shipping to performance-minded pilots soon. More specifics on performance improvements can be found in the official press release. Hartzell congratulates DAHER-SOCATA on their commitment to excellence in aviation engineering, exemplified by the TBM 850. We are proud to pair our advanced propeller technology with an aircraft that has taken the aviation world by storm since its debut in 2005. 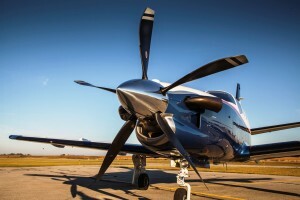 As long as there are pilots looking to push the boundaries of performance, Hartzell’s composite propeller technology will be keeping them safe and making it possible.